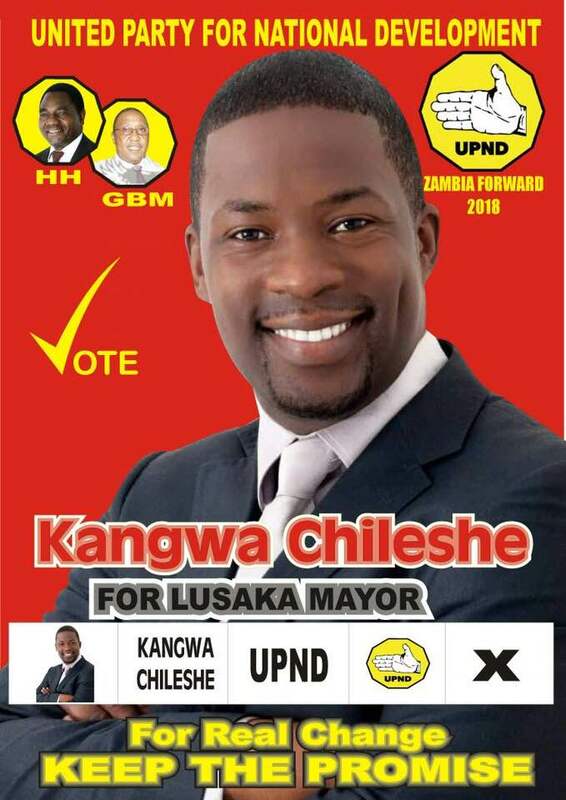 The UPND have selected Pastor Kangwa Chileshe as their candidate for the Lusaka Mayoral elections. He is famed for his role in Zambia’s first soap opera – Kabanana. The UPND has also adopted George Muleya as the party’s candidate for the Chilanga Council Chairperson position. UPND Chairperson for Elections Garry Nkombo unveiled the two candidates at a news conference late Thursday. He says he knows Lusaka very well and it’s many challenges having been born in the city at UTH and lived most of his life there.